Chen Tong, the man who gave China the popular microblog Weibo, resigned as chief editor and executive vice president of Sina Corp. An Sina Corp message indicated that Chen resigned for personal reasons. 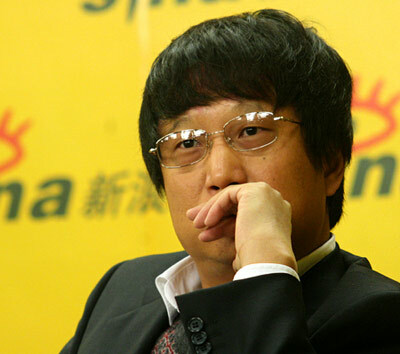 The 47 year-old Chen has worked for Sina since 1997, and has served as chief editor and executive vice president since 2007. Under Chen, Sina created the twitter-like platform Sina Weibo a twitter-like platform in 2009. By 2013, Weibo had over 500 million users and over 100 million monthly active users. Weibo was officially listed on the NASDAQ Stock Exchange in the United States in April, 2014. An internal message from Sina released on Wednesday said Chen’s resignation is due to personal reason, but didn’t elaborate. Chen will be Sina’s development consultant after his resignation, the message says. On the same day, Chen confirmed the information by publishing a thank you note on his personal Weibo account. He thanked his colleagues, the company, the media he worked with, and the internet. Chen’s abrupt resignation has attracted much discussion on the Chinese internet. With additional research by Luo Ya. The vice president of the Hong Kong Economic Journal, who wrote articles supporting the Occupy Central democracy protests, resigned after 28 years at the newspaper. Hong Kong celebrities are going to be pretty scarce on the mainland in the foreseeable future.